Shazam! is directed by David F. Sandberg and was released on Apr 5th, 2019. 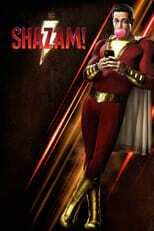 Director David F. Sandberg's Comedy & Adventure movie Shazam! is produced by DC Entertainment & Callahan Filmworks & was released 2019-03-23.